Murrieta is a city that is located on the southwestern side of Riverside County, California. The city witnessed a population boom in 2010 that shot the population of the area up from what would have ordinarily been a small, simple city, making it a worthy center of life and culture along with Temecula, its sister city. Murrieta avails the many residents of its commercial city the power to choose from a list of desirable options who or what they’d prefer for a particular service. The legal scene of the area has also experienced a significant influx of professionals through the years and you are at liberty to decide whom you would like to handle your legal matters. Rawa Law Group is one of the many legal firms in the area and for over two decades we have thrived as renowned leaders in the sphere, bringing hope and a restored peace to the lives of claimants in the area. We would like to be the ones to handle your case, and here are a few reasons why you should consider. 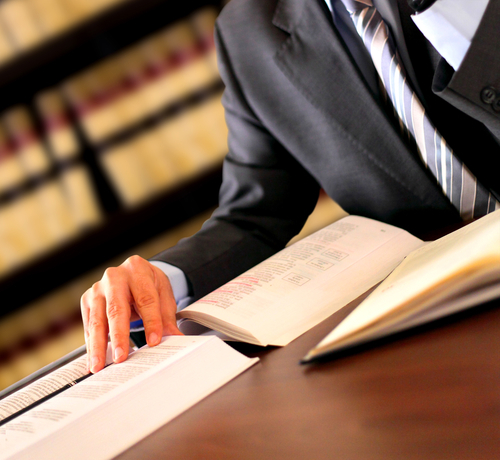 You’ll also gain immensely from two decades of flawless legal representation. Rawa Law Group has been around for over twenty years and in that period we have established a reputation for ourselves, leaving a blazing trail of legal excellence. We guarantee you that you will be represented in the most professional way possible. You will also be thrilled to know that a good number of our attorneys are recognized nationally for their excellence and exceptional performance. Your case will be handled by these topnotch attorneys and you will also receive counsel from the trusted persons on how to go about your life. Be rest assured that we do not show any preferences when handling a case. We give our best every time, giving no special regard for seemingly BIG or SMALL cases. You can be sure that your case is in the best hands with us. With us, get prepared to have regular updates on the developments of your case. Our attorneys always ensure that they update our clients through it all, you will never be taken by surprise as you will always be kept in the loop. Rawa Law Group is a foremost legal firm, known for our excellence, integrity, devotion to clients and of course, for our success through the years. As a result of our hardwork through the years, our attorneys have been able to deliver settlements that are valued to the tune of hundreds of millions to our clients in the area. The feats that we have achieved have all come as a result of our commitment to due process and relentless thorough service. Our attorneys who are well versed with every possible legal claim are available for your case and they are ready to bring you the victory you desire. They are skilled and revered litigators who have a combined experience level that is over 50 years, and they are poised to make your like better, ensuring that via their supreme representation you get the attention and compensation you seek. We have observed that one of the reasons why some cases end up with results that are different from what was expected is the misinformation of the client. This is why by careful guidance and an intimate approach to enlightenment, we offer consultation services to our clients and in that process, we ensure that they are in the know and well educated on what their legal options are. We do this completely free of charge, not seeking to labor them for our services provided. We also run a contingency style of representation, one in which the client is only obliged to make payment after we must have delivered on their case by winning it for them along with the settlements and compensation their due. What this means, therefore, is that we are ready to take on your case from the very start through to the end without requesting for any upfront payments or retainer fees from you. Our goal is to make the series of steps as convenient for you as possible. We understand that the circumstances of your claim must have had its toll on you, and we wouldn’t want to increase the stress you have gone through by holding you bound to any financial commitments. We are comfortable with getting paid only when you do. Our attorneys are known for their careful and intimate manner of approaching cases; they are well versed in these subjects and lots more. If you have been denied of the overtime you are due in your place of employment, then you can rely on our attorneys to help bring your employers to book for their actions and help you get that due payment along with any other compensation fit for whatever you had to go through or lose as a result. It is the responsibility of your employers to ensure that the workplace is conducive and safe for work to be done. If you or someone you know has sustained injuries as a result of the failure of their firm to provide the required work environment, then we can help you get compensated for the injuries you have incurred. Our representation will see to it that you are ably comforted for all that you have suffered. Have you been involved in a pedestrian accident? Then allow us to bring those responsible to book the right way. Our attorneys are skilled in these claims and will help ensure that you are compensated and taken care of for all that you have had to suffer.